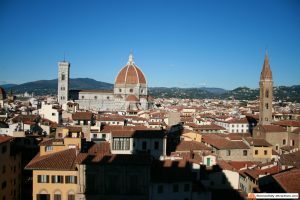 Historians set the end of the Middle ages in 1492, with the discovery of America, but Florence Italy Renaissance starts more than one century earlier. Florence, the cradle of the Renaissance, is filled with evidence of this early rebirth thanks to his works of art. For a couple of centuries, there was no artist other than the ones from Florence, or the ones who came to Florence to learn and work: they were light-years ahead any other artist in Europe; this happened because Florence and the Medici family created the conditions for this re-birth. 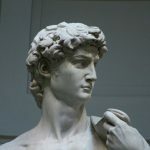 The Renaissance is not just an artistic trend: it’s the birth of a new culture which inspires to the ancient classical civilization, adapted to the Christian belief. After centuries of darkness, finally Europe leads the mankind again in arts, technology and science. A similar word, rinascita (re-birth) had been used by Vasari in his Lives (1550), but the exact word Renaissance was used only in the 19th century. 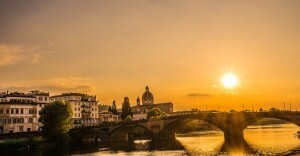 Florence Italy Renaissance starts in the 14th century for literature, and in the 15th century for arts. The Renaissance derives from a change in the main philosophy of the Middle Ages, where God was the center of the Universe, into the Humanism, where the man is the center of the Universe. Such a change happens in Italy, and in Florence in particular, because of the different social structure: in a continent, Europe, still ruled by feudalism, Florence was a modern Republic, where people had a chance to change their life and elevate themselves up to the highest social rank. In Europe God (your birth) determined your destiny as a king, a lord, or a simple farmer, while in Florence people determined their destiny, working harder and getting to opportunities faster than others. The human being becoming the center of the World, in arts, means that now the anatomy, nature and everything related to the mankind becomes important and is worth representing with a lot more accuracy. Certainly the Medici family deserves a lot of credit for sponsoring artists. Giovanni di Bicci, considered the ancestor of the family, was the first one in Florence to believe in Filippo Brunelleschi, the goldsmith turned architect (and sculptor) who became the heart and soul of this brand new trend in arts. All the important members of the Medici family received a top education (Cosimo “The Elder” spoke seven languages) and were well aware of the importance of arts. For a family like the Medici, ruling the city of Florence “unofficially”, sponsoring artists was a way to increase their popularity while enjoying beauty themselves. The “man” of Florence Italy Renaissance is, without a doubt, Lorenzo de Medici “The Magnificent”, fine politician and artist himself (poet), who promoted a school of sculpture where Michelangelo started his career, hosted artists in his own palace (including Botticelli and Michelangelo) and also promoted the Renaissance all around Italy, sending many artists to the other courts, like for example Leonardo Da Vinci to Milan. Filippo Brunelleschi is considered the starter of Florence Italy Renaissance, thanks to his studies on mathematical perspective. He was mainly an architect, so his friends Donatello and Masaccio are considered, respectively, the first sculptor and first painter of the Renaissance (even though Brunelleschi was the mind of the trio). Sculptors and architects had an easier life in the early 15th century: willing to represent a re-birth of the ancient culture, they had plenty of examples to follow in ancient Roman statues and buildings. Not so for the painters, who had to reinvent a style. Masaccio was helped by Brunelleschi with perspective, while the next generation still had some trouble with this mathematical representation, often making mistakes (like for the frescoes inside Florence Duomo), until Piero Della Francesca perfected the technique. The late 15th century was dominated by two big names: Botticelli, probably the most successful painter of the Renaissance and also the artist who better interpreted the new philosophy, and Leonardo Da Vinci, a symbol of the Renaissance with his many abilities and interests, not only as a fine artist but also as a scientist. 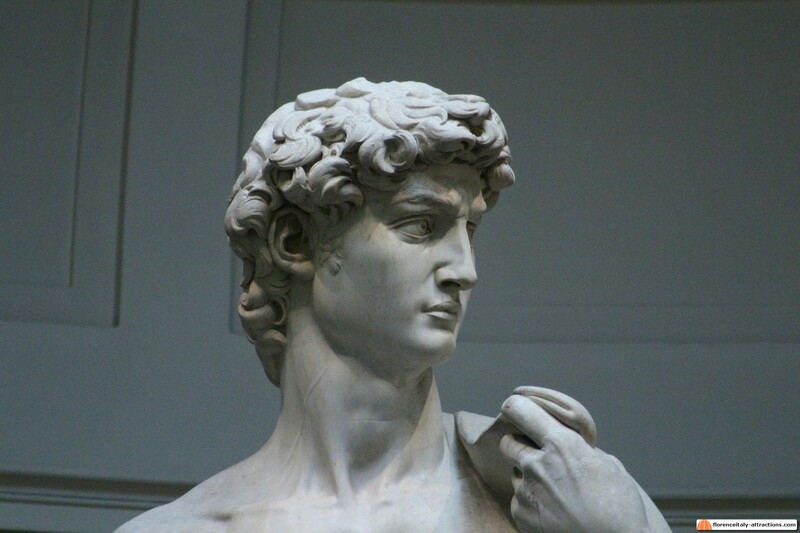 Finally, in a spectacular crescendo, Michelangelo Buonarroti created works that astonished not only common people but even his own skilled colleagues, doing better, for the first time in history, than the ancient Greek/Roman artists.